Tackling everything from unsolved crimes to creaky conspiracy theories, Unsolved Mysteries proved to be one of reality TV’s most durable franchises in the ’80s and ’90s. And now, thanks to Amazon, it’s getting an update. 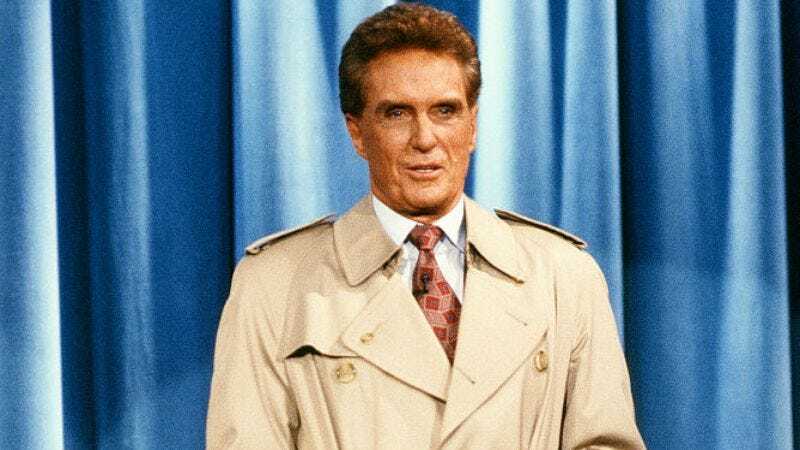 The New York-based distribution company FilmRise has acquired the digital distribution rights to Unsolved Mysteries, which originally aired on NBC from 1988 to 1997, before being revived on CBS and Spike. Untouchables star Robert Stack lent his grim, ominous narration to the speculative show in all its incarnations until the 2008-10 revival, which was hosted by late character actor Dennis Farina. FilmRise tells The Wrap that the Stack episodes are “currently being revised to include new information about the original cases” and will be available for streaming on Amazon in 2017. Does that mean the show should now be called Solved Mysteries? Not necessarily. FilmRise is promising updates, not closure. Hey, just as long as that awesome theme song has not been touched. For those who can’t wait, Amazon is already streaming the two full seasons of the Farina version of Unsolved Mysteries, which offered its own updates on classic Unsolved Mysteries cases.